In recent times, as focus on powering the future through clean energy gains momentum, technological innovations that are￼ sustainable and environmentally friendly dominate the space. As little as 10 years later, the solar industry now offers many variations of solar power, ranging from land based solar power, solar with battery storage and floating solar power. The science of converting energy from sunlight into electricity using photovoltaic (PV) cells – or solar power – is focused on placing panels on land to attract and harness the sun’s light to create the energy we need to power our homes, businesses and technology. While solar power presents a great opportunity to generate clean, sustainable energy, an increasing population, and need for high density living results in land becoming a scarcity and a more viable form of solar power necessary. Over the last decade, innovators around the world have striven to find new ways to make solar power more efficient in its energy generation. Finding another option that doesn’t require land occupancy, is easier to install and remove, saves water and offers significant environmental benefits makes the use of solar power globally, more realistic. Floating Solar power – positioning solar panels on a body of water, such as a dam, basin or as some other adventurous entrepreneurs are investigating, the sea, ticks all these boxes. But it is not just the question of adequate space that offers floating solar power as an outstanding clean energy source alternative to solar power. Studies show a reduced operating temperature of the cells resulting from the natural cooling effect of the water, along with the decreased amount of dust able to settle on the cells, floating solar panels can increase energy output between 11% – 21%. Besides the benefit of water savings from the decrease in evaporation from sun exposure, Floating Solar has the added benefit of reclaiming water used during the panel cleaning process. Given the installation location of floating solar panels, the Council on Energy, Environment and Water (CEEW) estimates that up to 20,000 litres of water per MW per can be reclaimed each cleaning session. 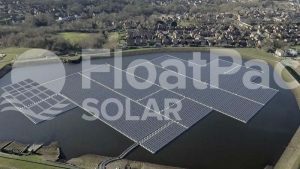 On a 10 MW installation (approximately 25,000 panels) that’s a saving of up to 10.4 million litres of water (assuming each cleaning session happens weekly), furthering the claim that floating solar is one of the best sources of renewable energy. Another advantage of floating solar is the containment of algae bloom, which is a serious problem for industrialised countries. As the FloatPac Solar system provides a partial covering of the basin there is a reduction of light just below the surface – the place in which algae typically occurs. 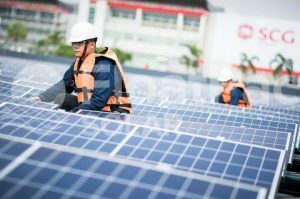 The positive affects floating solar power has environmentally is being leveraged by a trailblazer Australian business. FloatPac is paving the way for business to install and utilise solar down under and around the world. Along with the clean energy generation efficiency, space saving, water saving and environmental benefits, FloatPac can also boast a cost-effective Australian designed floatovoltaic system that delivers all of this, along with the benefits of traditional solar power. Studies show a reduced operating temperature of the cells resulting from the natural cooling effect of the water, along with the decreased amount of dust able to settle on the cells, floating solar panels can increase energy output between 11% – 21%. But their long-standing experience in sustainable, environmentally friendly products has taken shape over the last two decades, through all FloatPac products. Acclaimed as the world’s only fully approved air freight oxygen seafood transport system with FishPac and products ranging from under house rain water storage systems, the world’s strongest flexible tanks, fish farming liners and solar power to homes around the globe, their commitment to the highest possible environmental standard is always at the forefront. 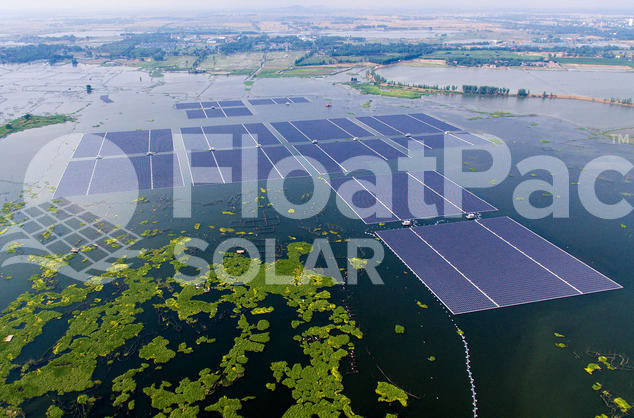 Continuing their focus on a sustainable, environmentally friendly product offering, FloatPac’s move into floating solar power is a natural progression for the business. Their floatovoltaic system provides 100% recyclable, UV stabilised, rot and mould resistant flotation pods. It’s a unique design, packing density in all forms from air and land to sea transport uses superior materials, reducing cost and carbon footprint. A fact the business is very proud of. So while solar power has a lengthy history – with a relatively short time in the sun – the future of renewable energy sits with a newcomer in solar power. With increased efficiency, space utilisation, improved water conservation, positive environmental effects and more compact cell systems, floating solar power will certainly make for another innovative decade of environmental changes ahead. FloatPac Solar’s innovative, cost-effective Australian designed floatovoltaic system delivers increased benefits over traditional land-based solar without expensive and limiting land requirements, and with a host of added economic and environmental benefits. Imagine if these panels were used extensively across parts of the Great Barrier Reef. It would help cool the water, through its shadow effect as well as potentially powering Water Coolers.